So you have finally found time for that well deserved vacation. Good for you – vacations are an important part of performing your best. Now that you will be taking some time off, you don’t want to waste precious vacation time looking for necessities in case of a problem. While you hope you won’t need these items while on vacation, with a little planning you can avoid letting a minor inconvenience turn into something that can ruin your vacation. 1. Medical supplies- While bringing any medications or medical supplies you need may seem obvious, many of us pack exactly the quantity of medications we need for our trip. This is placing way too much trust in the weather, airlines and local providers of medical supplies. While it’s great if your travels turn out as planned, it is better to plan for a delay. An extension of your trip often means unplanned contingencies. If you are suddenly under time pressure, the last thing you want to have to do is search for your medicine. Especially if you are travelling abroad. Stock up where you buy your medical supplies before your trip. A good rule is to bring sufficient medication for roughly double the length of your planned trip. You’ll likely have enough for your trip and will be able to use any excess when you return home. 2. 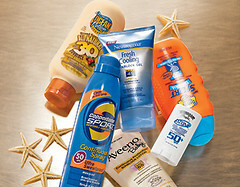 Sunscreen and bug repellent- While these items are often available for purchase at most destinations, they tend to be considerably more expensive than back home. The locals just tend not to use them and therefore they carry a premium price. In addition, if you wait to buy them at your destination, you risk either not being able to find them or perhaps having to purchase something other than your ideal product. If you are looking for SPF 60 and all you can find is SPF 2 Deep Tanning Coconut Oil, you are probably not going to be satisfied with the results. A bad sunburn or getting chewed-up by insects can ruin the rest of your vacation. If you don’t want to carry enough for your whole family or entire trip, at least bring enough for the first day or two. 3. 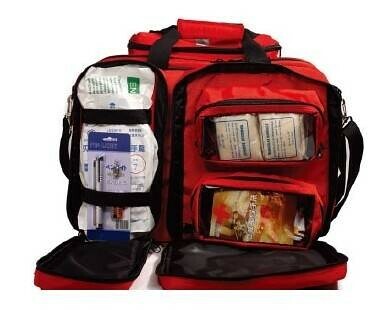 First aid kit- You are going to want to tailor this to your trip. No sense in bringing a snake bite kit if you are going ice climbing. However a small kit of necessities can keep a small problem from escalating. If you are going hiking, then that snakebite kit, adhesive bandages for blisters and perhaps an elastic wrap for sprains can keep you enjoying your time on the trail (or save your life). If you are heading to the tropics and malaria is present, then an antimalarial medication makes sense. When you realize you need these items, it tends to be urgent. Pack them before you go. 4. Antihistamines / allergy medication- One of the most frequently requested medications from travelers abroad is something for their allergies. Often times changing climates seems to have an intense impact on one’s allergies. If you take regular medication, be sure to follow the guideline listed above and bring enough for double the length of your stay. 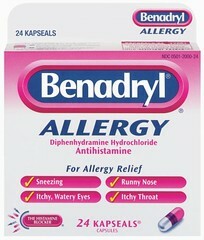 Likewise, pack some antihistamine tables in your first aid kit. If you are assaulted upon your arrival at your vacation destination, you will have something to get you buy until you can stock up at a local pharmacy. Be sure to save the wrapper to show the pharmacist if you don’t speak the language at your chosen destination. Perhaps they will recognize the brand or it will contain the generic ingredient you need. 5. Anti-Diarrhea Medication- After the snakebite kit, this one is probably number two in terms of urgency. At least it will seem that way if you are suffering from a case of traveler’s diarrhea. Even the most ironclad stomachs run into trouble when they ingest a microbe new to their body. Your body doesn’t like this new visitor and will do its best to expel it, and anything else you consume during that period. If you are travelling or otherwise don’t have uninhibited access to a bathroom, you are going to appreciate having something that can give you some relief. While many of the suggested items can be found abroad, the suggested list is about comfort and convenience during your trip. In some cases, like a snake bite, time is of the essence. In other cases, like having an adhesive bandage handy, it can keep you from getting a blister and being hobbled for the rest of your trip. You’ve waited a year to take your trip. Take a few minutes to make sure you enjoy it! Medshop Australia is Australia’s leading medical supplier, where you can shop online for brand names you can trust at amazing below market prices. Offering a broad range of medical supplies to at home users, medical professionals, allied health professionals, as well as medical students. Shop online today at https://www.medshop.com.au/.